JDC - Archives : An Israeli dancer with a group of Jewish children. Search > Search Results > An Israeli dancer with a group of Jewish children. Title An Israeli dancer with a group of Jewish children. 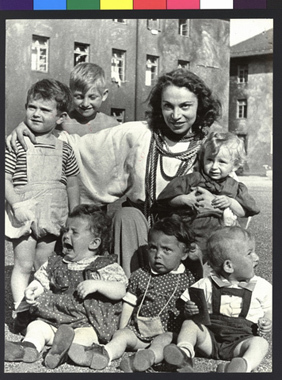 Description The Israeli dancer Paula Padini with a group of Jewish children in the Bad Reichenhall DP Camp. She was on a two month tour of German and Austrian DP camps, arranged by the JDC.